Home > Games	> New Apps for the Kindle – Anywhere Spreadsheet and Ultimate Physics Quiz! New Apps for the Kindle – Anywhere Spreadsheet and Ultimate Physics Quiz! Here’s more new apps for the Kindle! 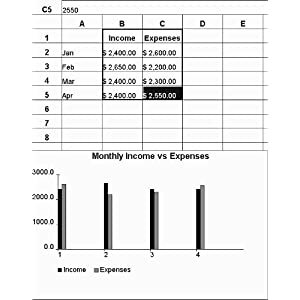 ‘Anywhere Spreadsheet (A Spreadsheet for Kindle)‘ by Nickel Buddy is available on the Amazon Kindle site for $3.99! Just click here to download! Anywhere Spreadsheet allows you to create, edit, and save spreadsheets on your Kindle. Use and modify the included templates, or create your own to track your budget, log your running miles, maintain a price list, track your gas mileage, do unit conversions…the possibilities are limited only by your imagination. With Anywhere Spreadsheet you can insert and delete rows and columns, change row height and column width, set background shades and borders, format data as numbers, dates, currency or normal text. You can format your text by making it bold or italic and by changing its alignment, font shade and font size. You can even create charts and import and export data in CSV files to your PC. To make it easy to be productive right away, Anywhere Spreadsheet comes with the following templates: Sale Price Calculator, Temperature Converter, Length Converter, Percent Calculator, Tip Calculator, Body Mass Index Calculator, Thank-you note list, Weight Tracker, Running Log, Road Trip Log, Gas Mileage Log and even a Chore List! Track and calculate important data everywhere you go with Anywhere Spreadsheet. Check out the other new Kindle app after the jump! 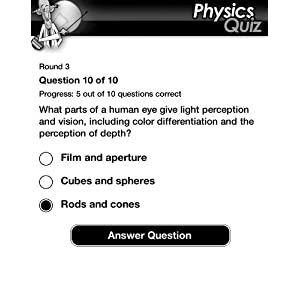 ‘Ultimate Physics Quiz (A Science Trivia Game for Kindle)‘ by HandyX is available on the Amazon Kindle site for $1.99! Just click here to download! Fun with Physics? Yes, believe it with Ultimate Physics Quiz! Learning and practicing science is always more fun when it’s part of a game. This application uses game play to challenge both kids and adults alike. Questions range from basic ones, such as “What does a microphone convert?” to advanced questions, such as “When two simple harmonic waves interfere, vector addition of which characteristics takes place?” Different game play modes can be used to test your speed and understanding. For example, you can play under the pressure of a timer, or see how far you can get with continuous multiple choice questions. Explore physics concepts by answering questions in Measurement and Units, Heat and Light, Properties of Matter, Space, Universe and Stars, Motion, Work, Power and Energy, Electricity & Magnetism Forces, Light and Sound Waves, Electricity and Nuclear Physics, and Atomic Physics. So if you are learning physics at school, or if you just want to test your knowledge, put yourself in motion and have an Ultimate Physics Quiz moment! Be sure to check out Amazon’s Popular Kindle Games & Active Content page for a review of all the games available! And if you want to see the apps as a bestseller list, check out the Bestsellers in Kindle Games & Active Content! NOOK Daily Find! Dragon Spear by Jessica Day George for $1.99! NOOK Daily Find! Chosen (Lost Books Series #1) by Ted Dekker for $2.89!